These last couple of weeks have been CRAZY expansive for me. I was away at a Tony Robbins event where almost 10,000 of us spent 15-20 hours a day calling BS on our story and raising our standards and facing our fears ( which is actually FALSE EVIDENCE APPEARING REAL ). To seal it all in and to show who’s really in-control we walked across 25 feet of fire. Firewalking is just about teaching you that you are in total control of your mind, and therefore your life. 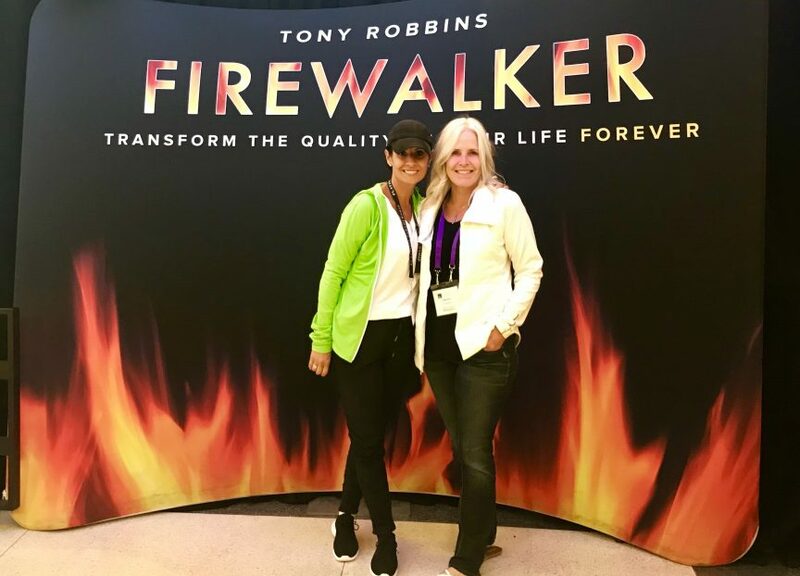 You don’t need to walk on fire to do that, this email right here can be your firewalk and teach you to take hardships in stride instead of letting them dictate who you are as a person. Take control of your life by shifting your perspective and raising your standards. Everyone wants to enhance their quality of life. Everyone wants to be more fulfilled. But almost all of us get stuck at times in our limiting beliefs and emotional patterns. We make habits out of feeling frustrated, worried, sad or overwhelmed. But it is these disempowering habits that prevent us from doing what we are really capable of – even if that something is just being happy. It’s all about the meaning that you give the events and experiences of your life. Because when you come up with a new meaning, you can get a new perspective, and, ultimately, a new life. So the premise of walking on fire, is to say to your brain “hey you walked on 2000 degree burning coals without getting burned because you were in a CERTAIN state that you could do it, so what ELSE can you do when you get yourself into that state of certainty? The only thing keeping you from getting what you want is yourself. The only thing keeping you from the joy you deserve is the disempowering story you keep telling yourself. But what if you decided right now to offer yourself a new core of belief? What if everything in your life, including the most painful and traumatic events, was happening for you, not to you? You may be tempted to give into your gremlins or the mean girl in your head. To run. To hide. To avoid. To not follow through on commitments that don’t feel as important as the tsunami does, but here’s a tip: No matter how hard things get, stay true to the person you know yourself to be, who you REALLY are without the “story” without the limiting beliefs. Have faith in the way you show up every day and just keep doing right by your vision. The earthquake will calm, and when it does, you’ll be glad you didn’t sacrifice your truth or your values along the way. Don’t look at what others are doing and don’t spiral into comparison mode. Focus on your mission and your personal magic and tune in deeper if you feel a disconnect. If you’re having a hard time, stay away from people that are also having a hard time because before you know it, you’ll start validating your struggles and you’ll glue each other down without even realizing it. Every action is an energetic deposit into your future. Keep it positive. Take some initiative and establish control in your life. Change the story you tell yourself, the firewalk helped me gain the emotional and mental clarity I craved because I’m up-levelling SO huge at the moment. 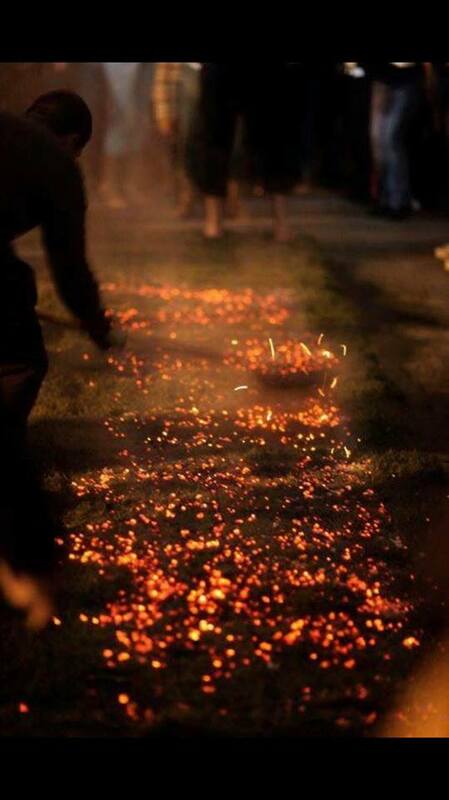 Crossing the firewalk was an intense, amazing sensation because your mind tells you-you couldn’t possibly achieve it, and if I’m honest, I was one of the last to walk because we wanted to walk in Tony’s lane and I paused as soon as I hit the coals. I really had to get myself BACK into state and dig deep and find my WHAT. My WHY? What did I want to call BULLSH*T on and leave there to burn in the ashes? Everyone had crossed and were on the other side chanting YES YES YES. But, I had to find my OWN YES! and I did. When I walked across the coals I experienced an overwhelming sense of accomplishment because I knew at that moment that life will never be the same because I’m in charge, not my mind. It does what I tell it to do! “THE ONLY ‘PROBLEM’ WE REALLY HAVE IS WE THINK WE’RE NOT SUPPOSED TO HAVE PROBLEMS! I love that quote – because isn’t it true? the only people that don’t have any more problems are well, dead. So that’s it. This was a loving reminder that if you’re feeling like your drowning, don’t you worry, my friend. You’re not alone AND you’ll be okay.